"I just wanted to thank you- Cinderalla was totally amazing!!! She was fantastic and just MADE the party!. Thank you again !!" 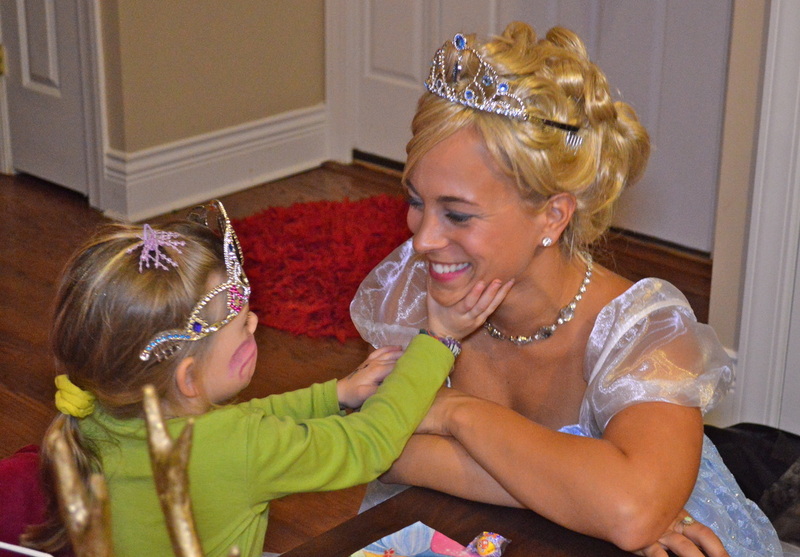 "Amanda, I want to take this time to thank you for sending absolutely the best Anna, Elsa and Kristoff to Alexa's 5th Birthday Party and a huge thank you to Anna, Elsa and Kristoff for your amazing Magical Memories you have definitely instilled in Alexa and myself...but to all of Alexa's family and friends!!! I am continuously being asked where did I find such amazing Characters. And the feedback has been huge, of how amazing their performance was and how everyone felt that they were at a Broadway Musical front row and center!!!! Our hats are off to all of you with our sincerest gratitude and huge THANK YOU!!" Wanted to take a minute to tell you how wonderful your staff was today! 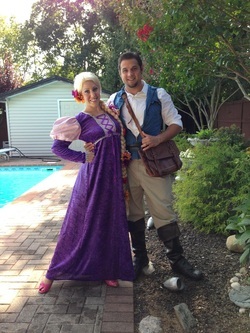 Flynn Rider was not only adorable and stole the show, but played the part super well! Rapunzel was amazing and so good with all of the children! What great people you sent! Both characters were just perfect! Thank you for making my daughters party! Please thank your cast members again for us! "Hello just wanted to thank you for a great party all of the girls and boys loved that Elsa and Anna were there especially the birthday girl, she was almost in tears and told me she was very sad that you left. You were really impressively good with all of her questions about Olaf and your Castle. She is a very curious girl and asks a lot of questions so thank you for being so patient and nice! She will surely remember that day always, thanks again!
" Your girls were absolutely amazing. Snow white was adorable never broke her character for a second. Everyone at the party said what a great professional job they did. I am so incredibly happy my first deal got cancelled last minute it was a blessing in disguise. I will definitely be recommending you to everyone. 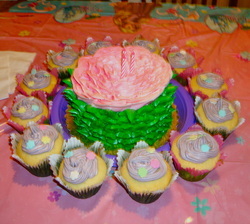 Thank you so very much for such a wonderful first birthday!
" My daughter told Mandy and Ashley that she would give them all her birthday money if they would sleep over after the Spa Party. 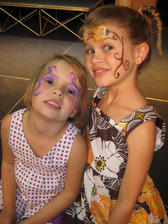 The girls were really great with the kids and I was able to sit back and enjoy the party."